Uptown Columbus, Inc. is proud to announce the lineup for our Friday Night Concert Series presented by Active Pest Control! Join us on Friday, April 5th, as we kick-off the spring series with BILLY JOEL Tribute The Stranger Featuring Mike Santoro in the heart of Uptown Columbus. Concerts are FREE and open to all ages, thanks to the support of our generous sponsors. So bring your lawn chair, blanket and family for a night of great music and fun! 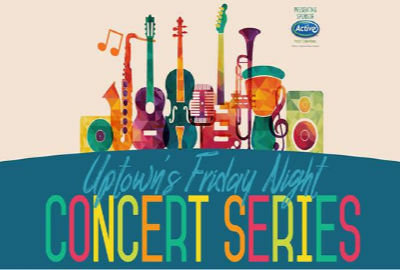 Uptown's Friday Night Concert Series prohibits all outside food, beverages (alcoholic & non-alcoholic) and coolers. This policy will help to provide a clean and safe environment for our attendees, merchants, and the greater Uptown community.